OSLO, Norway, February 2, 2018 /3BL Media/ – Today, the United Nations Global Compact announced the formation of a Business Action Platform for the Ocean — a three-year global programme bringing together business, civil society, the UN and Governments to advance the ocean economy and sustainable development. The programme is part of a broader portfolio of Action Platforms introduced by the UN Global Compact to facilitate the achievement of the UN 2030 Agenda for Sustainable Development and its 17 Global Goals. Supported by the Government of Norway as its first Government partner, the Action Platform will develop a business leadership framework focused on the growth, innovation and sustainability of the ocean, with a specific aim to scale-up the commitments and performance of companies on this critical agenda. Today’s announcement was attended by a group of 40 participants from Norway's energy, transport and seafood sectors as well as civil society, the UN and Government, including State Secretaries Ingvil Smines Tybring‐Gjedde and Roy Angelvik. Over the next three years, a diverse group of multi-stakeholder partners will aim to deliver leading action on ocean sustainability and advance shared ocean priorities. 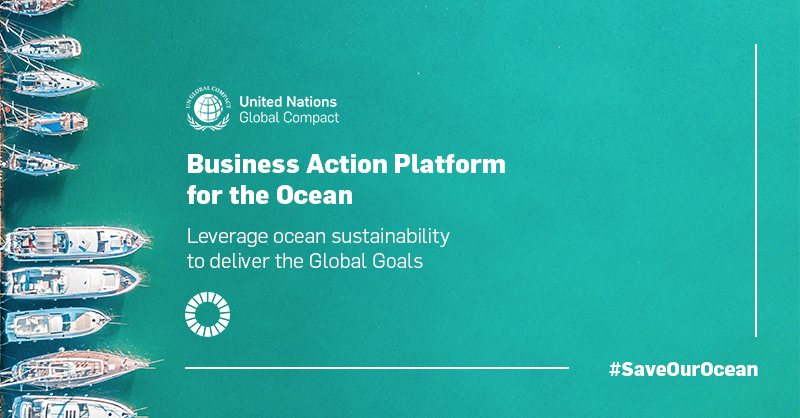 The Business Action Platform for the Ocean will focus on growth, innovation and sustainability, exploring how to best protect the health of the ocean. It aims to mobilize the private sector to take tangible action, make investments and form partnerships to leverage the ocean as a resource to deliver the Global Goals.